Amazon’s decision to less aggressively promote its own-label products should not be taken as a sign that branded competitors can expect an easy ride in future, Wavemaker’s global head of ecommerce has warned. CNBC reported on Wednesday that Amazon had ditched some of the aggressive promotion of its private-label products in highly visible spots next to those of higher-priced competitors. 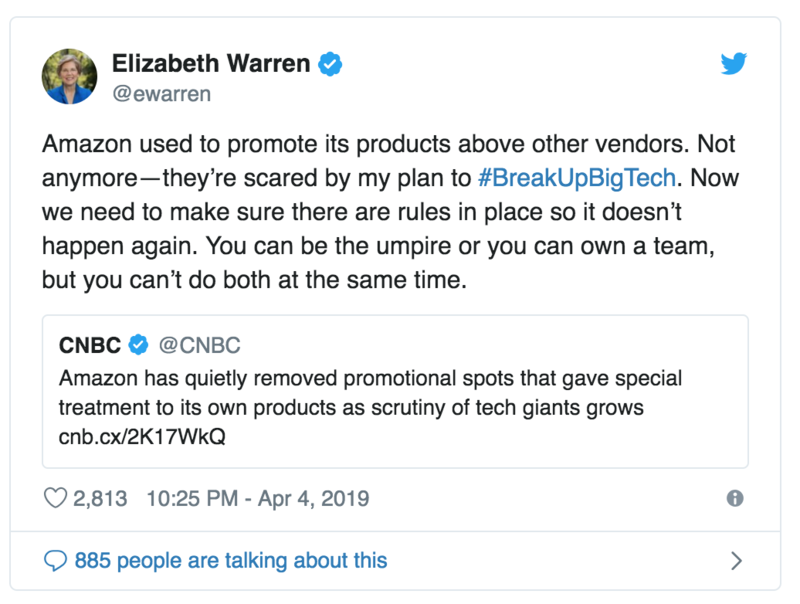 Elizabeth Warren, the US Democratic presidential candidate who has called for tech giants to be forcibly broken up, claimed credit for the move in a tweet last night. But speaking to Campaign, Wavemaker global head of ecommerce Mudit Jaju said the move was likely to have been strongly influenced by pressure from Amazon’s advertisers. "Paid search was under attack," Jaju said. "Uniformly, and not just in ecommerce circles, people said, well, this is a little much." As a media agency, he said, it was "really challenging" telling an FMCG brand it needed to invest in Amazon advertising while the platform was engaging in practices that made it much harder for that brand to achieve sales. "All of a sudden, you had all these manufacturers saying, well, screw it," Jaju added. "If we’re not gonna win in paid search, we’re just going to stop, we’re not going to participate." But despite portraying the situation as one in which brands successfully pressured Amazon to act, Jaju downplayed the significance of the move. "There’s a big part of me that wants to say hubris with a capital 'H' and celebrate something slightly ridiculous coming to an end," he said. "But Amazon is going to keep doing things like this. Some of them will stick, some not. 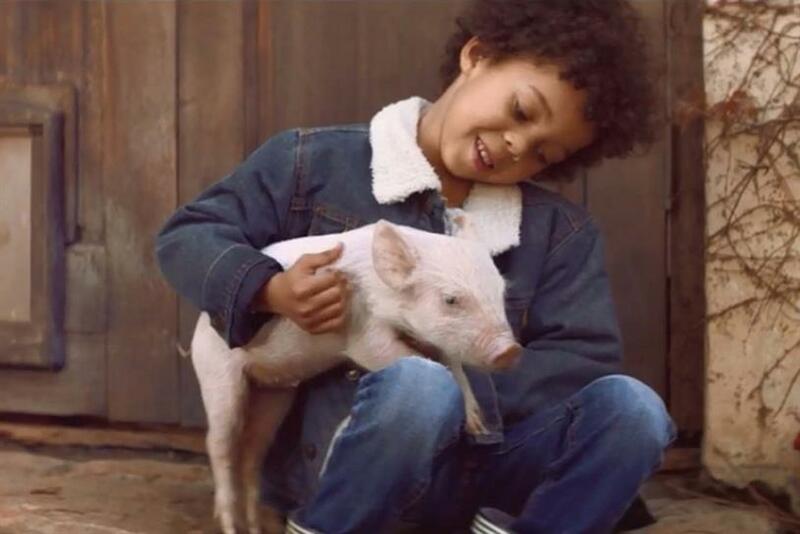 I don’t think we’ve seen the end of brands being given a new curveball." In addition, Jaju pointed out that while Amazon’s recent private-label promotions have been considered egregious by competitors, as well as offering a "terrible customer experience", there had been no lasting negative consequences for Amazon. "You had these manufacturers screaming bloody murder," he said. "But then they just turned it off and there’s no downside for them." Jaju said he expected private label to continue to grow in importance for Amazon, to the point where it will become a mix of a private-label retailer and a marketplace, with its role as a direct retailer of other brands downplayed. Reiterating comments he made to Campaign last year, Jaju said that Amazon’s serious ability to compete on price made it more important than ever for advertisers to have "a much more holistic view of what your brand stands for", so that consumers will arrive online already having a clear idea of which brand they want to buy. Jaju said he would like to see other major UK FMCG retailers, such as Tesco and Boots, up their game in terms of what they can offer to advertisers from their digital platforms. These organisations are typically where Amazon was seven or eight years ago, he said. In contrast, the situation in the US was better. "Walmart has kind of risen to the occasion," Jaju said, adding that Target and Kroger had also improved their offers. "It’s not an 'Amazon or bust' kind of situation."